Normally, prudent architectural design, building science, building analysis software, and best practices are enough to ensure that an intervention (renovation, rehabilitation, etc.) in an historic building does not damage the structure and reduce its service life. Future-proofing is the process of anticipating the future and developing methods of minimizing the effects of shocks and stresses of future events. Future-proofing is used in other industries such as electronics, medical industry, industrial design, and, more recently, in design for climate change. The principles of future-proofing are extracted from other industries and codified as a system for approaching an intervention in an historic building. At a school in Eastern Washington, the glazed terra cotta pops off in small chunks the size of a half dollar coin. In another structure in Western Washington, a concrete wall is installed inside of the existing brick and cast stone façade for seismic structural reinforcement. In a newly renovated structure in the Mid-West, the insulated exterior walls of a brick masonry building aren’t delivering the anticipated thermal performance and costing the owners significant money to continue operating. Why does this happen? Is the renovation of old buildings damaging them rather than preserving them? It is instructive to introduce the concept of “future-proofing” and how it can be applied to the built environment. How, then, does one respond to the rehabilitation of an existing structure, such as the school in the example above, where the long term viability of the existing building fabric is put at risk and deteriorates more rapidly after the sustainable renovation? One would hope that the expertise of the architect and their design team would be able to anticipate the needs of a building such that its rehabilitation actually extends, rather than shortens, its service life. Normally the realm of prudent design would cover this, but it seems that the immediate needs of the client too often come first and that the existing building structures come later. The technical understanding of how a building works and what an architect must do to make sure it works properly is known under many different terms. Building science, building technology, and good practice design often describe this work. Good design also includes a detailed understanding of materials science, building pathology, design and detailing, construction techniques and sequencing, amongst other skills. Often times, there is so much to handle that even with a team of experts, one cannot understand all of the aspects of building design that must come together to make a successful project. Indeed it is often existing buildings that, while they are available to be studied in the full reality of their construction, are the most baffling and difficult to understand because of the complexity of the interactions between all of the building components, the climactic conditions, and the occupants. In addition to the common issues of completing a project design, the recent trend towards inclusion of sustainable design features in projects has become required for architects to compete in the marketplace. This market has been created by rating systems in the 1970s and 1980s which give the building more value in the market when they are design and built to higher levels of sustainability. The emphasis in the sustainable rating systems started with a focus around building systems (mechanical and electrical, primarily). The initial solutions to increase sustainability were incomplete solutions that improved the performance of these systems. Sustainable design rating systems have grown to include water systems, siting, building materials, and other aspects of the built environment, but continue to give our existing building stock only minor attention. It has been long argued that rehabilitation of an existing building is one of the most sustainable strategies for a project to employ. This research is closely linked to sustainable design strategies by reducing material consumption, loss of embodied energy, and reduction of construction waste, reduction in energy consumption, and reduction in CO2 emissions. The ultimate goal of this research is to promote the rehabilitation and adaptive re-use of our existing building stock and extend their useful service lives rather than contributing to the consumption of our planet’s resources. 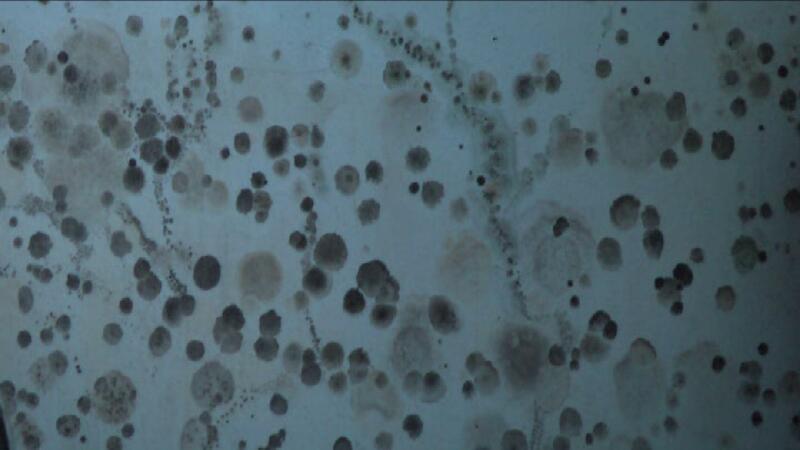 This research is further linked to the concept of life cycle analysis. While it is beneficial to the environment when one designs a building that reduces its energy consumption by 50% of an accepted standard, the reality of this achievement is significantly different when a full life cycle analysis is considered. As a simple example, consider the difference between the scenario of renovating an existing building versus tearing down the existing building and constructing a new one of the same size but with more efficient building systems and a life expectancy of 20 to 30 years. This sounds great until one considers that the existing building as a masonry structure with a reinforced concrete frame that with a little work could last for another 100+ years. One would have to build at least 3 new structures to take the place of the existing structure for the same period of time. Further, the payback period for a new building can be as little as 7 to 8 years, depending on the scope of the project, the nature of the existing building, strategies employed, and the basis for measurement. (Katz, 2011) his payback period grows to 60 to 80 years when one accounts for the embodied energy of the existing structure that was demolished. (Frey et al., 2011) Given this simple life cycle comparison, it is evident that rehabilitation of existing structures is much better for the environment than even the most efficient new construction. In addition to the consideration of the value of existing structures through life cycle analysis, the issues become more complex when working with a structure that is protected by formal historic designation. Historic landmark designation at the local, city, county, state or national levels is possible for almost all older structures provided they meet certain minimum criteria. 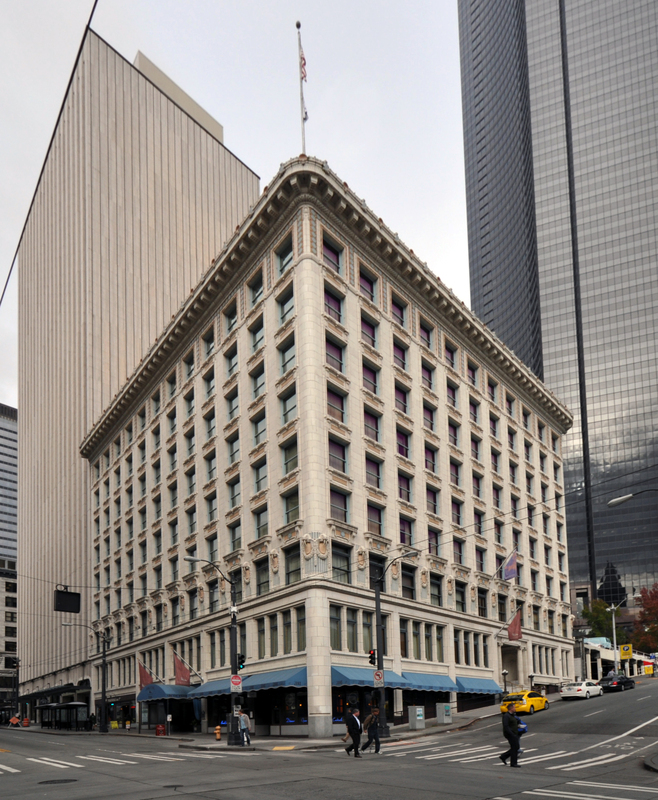 When considering such a designated building in the United States, most often, the Secretary of the Interior’s Standards for the Treatment of Historic Properties come into play. Consideration of the Standards for Rehabilitation makes clear that designated historic building fabric shall be protected. Standard 5 states that “distinctive features, finishes, and construction techniques or examples of craftsmanship that characterize a property shall be preserved.” Standard 9 is also instructive: “New additions, exterior alterations, or related new construction shall not destroy historic materials that characterize a property.” (Weeks, 1995) Thus, the design of an intervention in a designated historic structure that causes damage to the structure is not in accordance with the Secretary’s Standards. There are several industries using the term “future-proofing” today outside of the Architecture, Engineering, and Construction (AEC) industry. In general, the term refers to the ability of something to continue to be of value into the distant future; that the item does not become obsolete. The concept of future-proofing is the process of anticipating the future and developing methods of minimizing the effects of shocks and stresses of future events. This term is commonly found in the electronics, data storage, and communications systems. It is also found in Industrial Design, computers, software, health care/medical, and product design. Study of the principles behind “future-proofing” both within the AEC industry and among outside industries can give vital information about the basis of future-proofing. This information can be distilled into several principles which describe the concept of future-proofing. The principles can be applied to the design of interventions in historic buildings that will not cause further deterioration of the building. 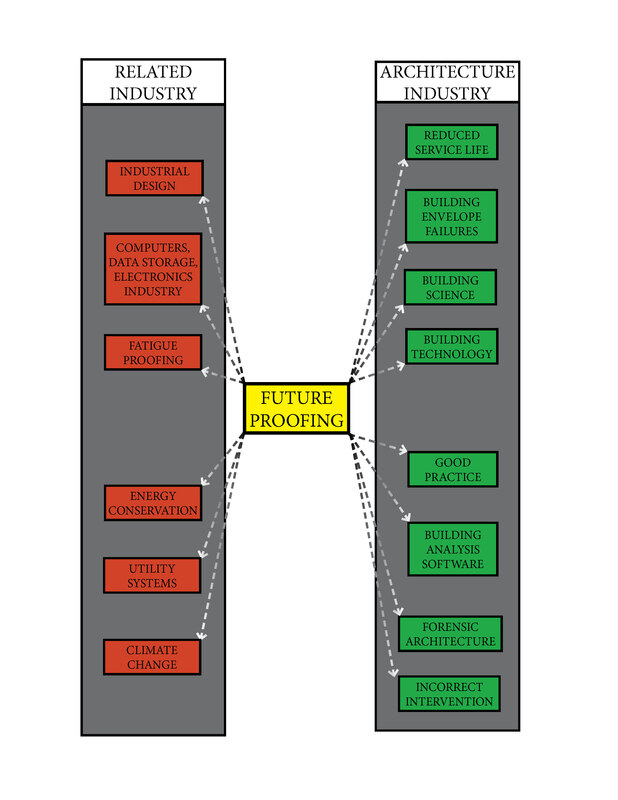 In combination with careful analysis with computational analysis software, the principles of future-proofing can help to prevent the problems with buildings mentioned in the introduction. In industrial design, future-proofing designs seek to prevent obsolescence by analyzing the decrease in desirability of products. Desirability is measured in categories such as function, appearance, and emotional value. The products with more functional design, better appearance, and which accumulate emotional value faster tend to be retained longer and are considered future-proof. Industrial design ultimately strives to encourage people to buy less by creating objects with higher levels of desirability. Some of the characteristics of future-proof products that come out of this study include a timeless nature, high durability, aesthetic appearances that capture and hold the interest of buyers. Ideally, as an object ages, its desirability is maintained or increases with increased emotional attachment. Products that fit into society’s current paradigm of progress, while simultaneously making progress, also tend to have increased desirability. (Kerr, 2011) Industrial design teaches that future-proof products are timeless, have high durability, and develop ongoing aesthetic and emotional attraction. The term “future-proofing” in relation to sustainable design began to be used in 2007. It has been used more often in sustainable design in relation to energy conservation to minimize the effects of future global temperature rise and/or rising energy costs. By far, the most common use of the term “future-proofing” is found in relation to sustainable design and energy conservation in particular. In this context, the term is usually referring to the ability of a structure to withstand impacts from future shortages in energy and resources, increasing world population, and environmental issues, by reducing the amount of energy consumption in the building. Understanding the use of “future-proofing” in this field assists in development of the concept of future-proofing as applied to existing structures. Another approach to future-proofing suggests that only in more extensive refurbishments to a building should future-proofing be considered. Even then, the proposed time horizon for future-proofing events is 15 to 25 years. The explanation for this particular time horizon for future-proof improvements is unclear. (Shah, 2012) This author believes that time horizons for future-proofing are much more dependent on the potential service life of the structure, the nature of the intervention, and several other factors. The result is that time horizons for future-proof interventions could vary from 15 years (rapidly changing technology interventions) to hundreds of years (major structural interventions). In the valuation of real estate, there are three traditional forms of obsolescence which affect property values: physical, functional, and aesthetic. Physical obsolescence occurs when the physical material of the property deteriorates to the point where it needs to be replaced or renovated. Functional obsolescence occurs when the property is no longer capable of serving the intended use or function. Aesthetic obsolescence occurs when fashions change, when something is no longer in style. A potential fourth form has emerged as well: sustainable obsolescence. Sustainable obsolescence proposes to be a combination of the above forms in many ways. Sustainable obsolescence occurs when a property no longer meets one or more sustainable design goals. (Reed and Warren-Myers, 2012) Obsolescence is an important characteristic of future-proofing a property because it emphasizes the need for the property to continue to be viable. Though not explicitly stated, the shocks and stresses to a property in the future are one potential way in which a property may become not future-proof. It is also important to note that each form of obsolescence can be either curable or incurable. The separation of curable and incurable obsolescence is ill defined because the amount of effort one is willing to put into correcting it varies depending on several factors: people, time, budget, availability, etc. One reasonable approach to future-proof sustainable cities is an integrated multi-disciplinary combination of mitigation and adaptation to raise the level of resilience of the city. In the context of urban environments, resilience is less dependent on an exact understanding of the future than on tolerance of uncertainty and broad programs to absorb the stresses that this environment might face. The scale of the context is important in this view: events are viewed as regional stresses rather than local. The intent for a resilient urban environment is to keep many options open, emphasize diversity in the environment, and perform long range planning that accounts for external systemic shocks. (Thornbush, Golubchikov and Bouzarovski, 2013) Options and diversity are strategies similar to ecological resilience discussed above. This approach again points out the importance of flexibility, adaptability, and diversity to future-proofing urban environments. 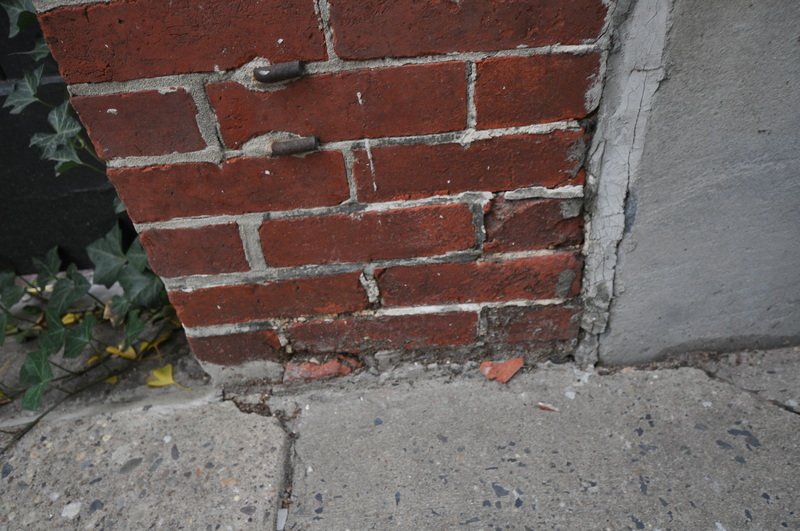 The design of interventions in existing buildings which are not detrimental to the future of the building may be called “future-proofing.” Future-proofing includes the careful consideration of how “sustainable” alterations to historic structures affect the original historic material of the structure. This effect is significant for long service life structures in order to prevent them from deteriorating and being demolished. This effect is especially significant in designated structures where the intent is to do no harm to the historic fabric of the structure. Historic buildings are particularly good candidates for future-proofing because they have already survived for 50 to 100 years or more. Given their performance to date and appropriate interventions, historic building structures are likely to be able to last for centuries. This durability is evident in the buildings of Europe and Asia which have survived centuries and millennia. Extension of the service life of our existing building stock through sensitive interventions reduces energy consumption, decreases material waste, retains embodied energy, and promotes a long term relationship with our built environment that is critical to the future survival of the human species on this planet. Comply with the Secretary’s Standards. The Secretary of the Interior’s Standards for the Treatment of Historic Places provide excellent guidance for the long term retention of an historic building. Not promote deterioration – do no harm. It is natural for all building materials to deteriorate. 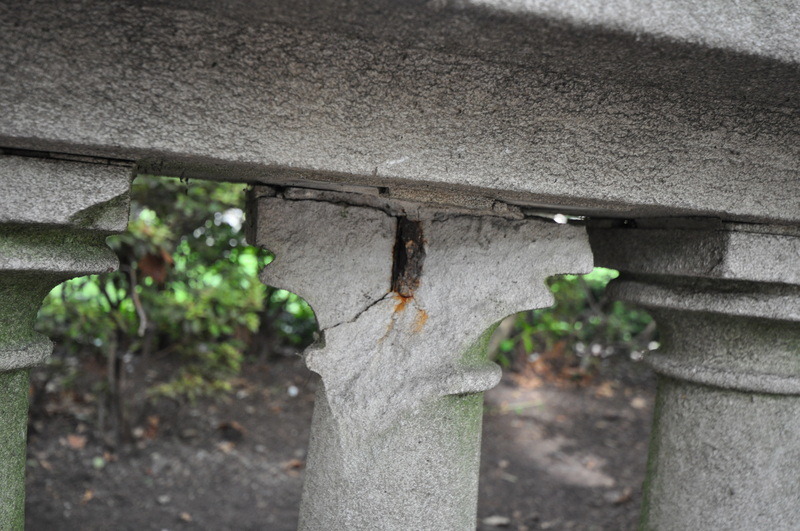 Interventions in historic structures should not accelerate the deterioration of the existing building fabric. Allow understanding of the historic structure. Interventions in historic structures should allow the students of history in our future to understand and appreciate the original historic building as well as the interventions which have kept it viable. Stimulate flexibility and adaptability. 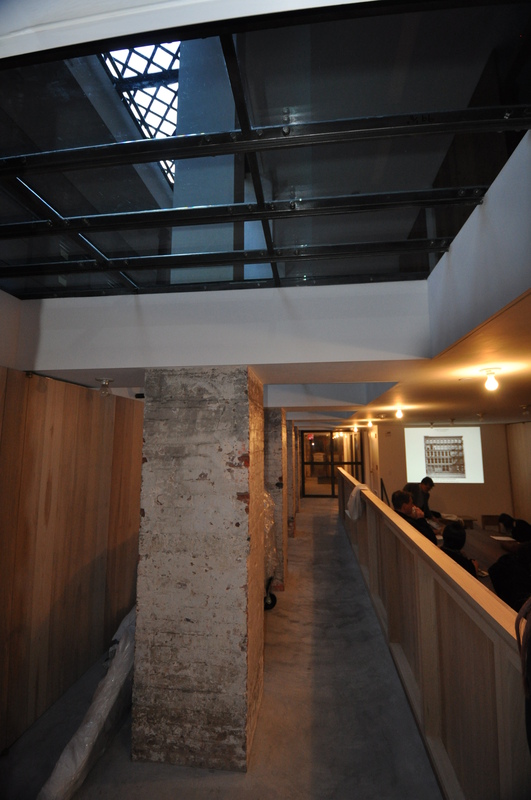 The interventions in an historic structure should not just allow flexibility and adaptability, but also stimulate it. Adaptability to the environment, uses, occupant needs, and future technologies is critical to the long service life of a historic building. Extend service life. Interventions in historic buildings should help to make the building useable for the long term future – not shorten the service life. Fortify against extreme weather and shortages of materials and energy. Interventions should prepare the building for the impacts of climate change by reducing energy consumption, reducing consumption of materials through durable material selections, and be able to be fortified against extreme natural events such as hurricanes and tornadoes. Ideally buildings would be designed appropriately for seismic zones and sea level change. Increase durability and redundancy. 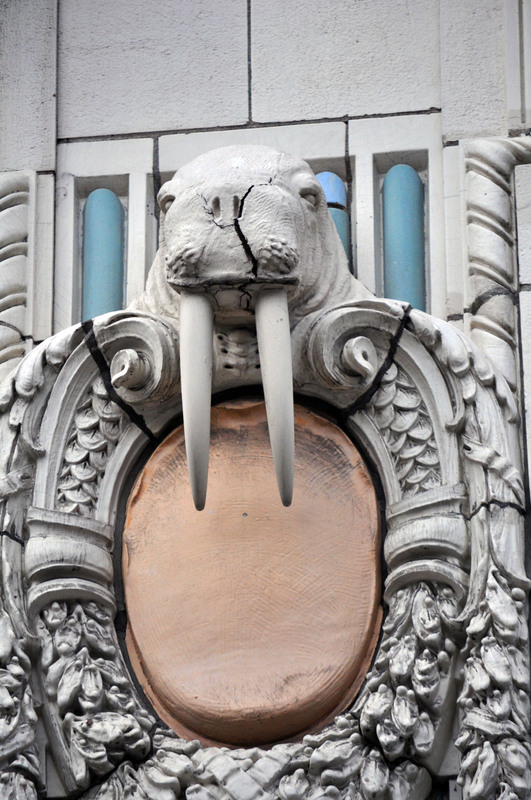 Interventions in historic buildings should use equally durable building materials. 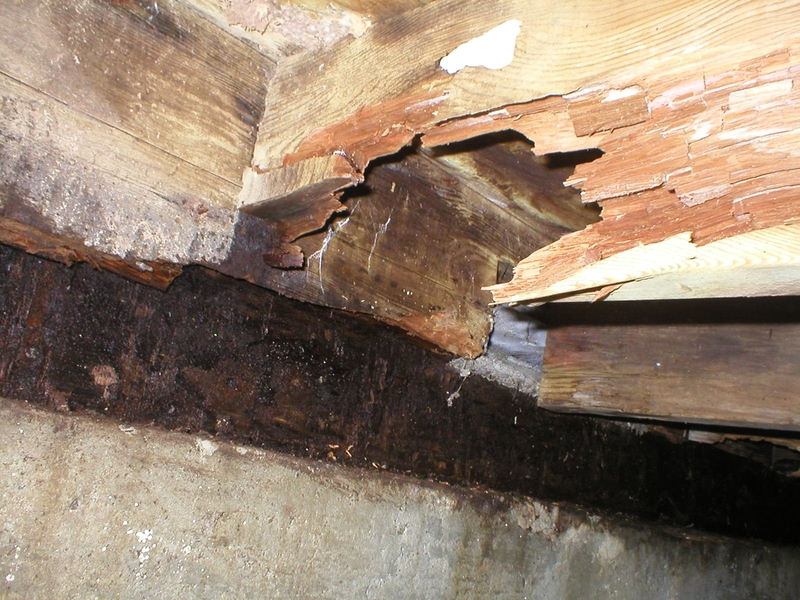 Materials that deteriorate more quickly than the original building fabric require further interventions and shorten the service life of the building. Reduce the likelihood of obsolescence. The building should be able to continue to be used for centuries into the future. Take an active approach: regularly evaluate and review current status in terms of future service capacity. 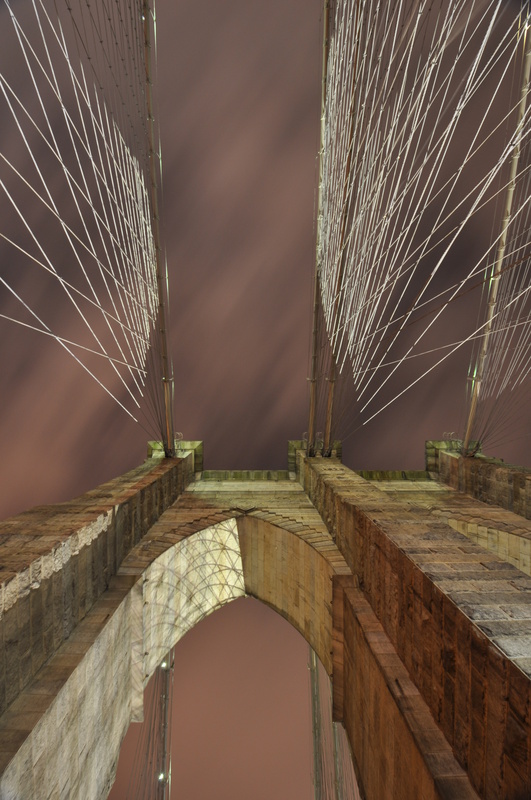 Scan the trends to provide a fresh perspective and determine how your historic building will respond to these trends. Consider long term life-cycle benefits. The embodied energy in existing structures should be incorporated in environmental, economic, social, and cultural costs for any project. Incorporate local materials, parts and labor. The parts and materials used in historic building interventions should be available locally and installed by local labor. This means that the materials and manufacturing capabilities will be readily available in the future for efficient repairs. Due to the lack of literature specifically addressing the future-proofing of the extant building fabric in historic structures, it is important to look to related concepts. In some areas, this opens the discussion to very broad areas. Below is an image by the author of the literature web delineating related terminology. Items shown in red are relevant for conceptual understanding of future-proofing as applied to existing buildings. Items shown in green are areas likely to be more fruitful in understanding the future-proofing of existing structures. Resilience is a concept closely related to future-proofing. Both seek to account for the ability of a building to handle unknown stresses in the future. However, future-proofing is a broader term than resilience. Future-proofing includes the concepts of not promoting deterioration, obsolescence, applicability to historic structures, and long term life cycle benefits, whereas resilience largely refers to the ability of an ecosystem to bounce back from and adapt to stresses. There are several other closely related areas of study within the practice of architecture that are related to future-proofing as well. Good practice in architectural design always seeks to find the best route to meet a plethora of divergent goals through a building design. Building science and building technology seek to find the best solution of a particular building assembly to meet environmental and constructability concerns. Building envelope failures and the science of forensic architectural investigation work toward a better understanding of why bad things happen to buildings and how to not only remedy them, but to prevent them from occurring again in the future. Incorrectly designed interventions in historic structures and the resulting reduction in the service life of the building is another area closely related to future-proofing. From each of these areas, there are contributions toward the practice of future-proofing historic buildings. Future-proofing seeks to provide a framework for consideration of all of these areas of architectural practice. Comply with the Secretary’s Standards. Not promote deterioration – do no harm. Allow understanding of the historic structure. Fortify against extreme weather and shortages of materials and energy. Reduce the likelihood of obsolescence. Consider long term life-cycle benefits. Incorporate local materials, parts and labor. Further research on this subject includes the review of the broader subjects related to future-proofing structures, including building science, building technology, etc., as illustrated above. In addition, further analysis of the capabilities, constraints, and ability of computational software to describe historic building assemblies is required. While there is a significant body of research regarding the use of building simulation software to describe building performance, it is not clear whether this includes simulation of existing historic structures or whether historic structures are considered too anomalous to be good candidates for simulations. “What Is Future-Proof Building?” Construction Marketing Services Limited 2012. Web. 18 November 2013. Albrecht, P., and A. Lenwari. “Fatigue-Proofing Cover Plates.” Journal of Bridge Engineering 12.3 (2007): 275-83. Print. Applegath, Craig, et al. “Resilient Design Principles and Building Design Principles.” ResilientCity.org 2010. Web. Barreneche, Raul A. “Wiring Buildings for the Future.” Architecture 84.4 (1995): 123-29. Print. Blasnik, Michael. “Lies, Damned Lies, and Modeling.” 17th Annual Building Science Symposium. Building Science Corporation, 5 August 2013. Print. Bloomer, Dan, and Phillipa Page. Hawke’s Bay Water Demand 2050: a Report for Hawke’s Bay Regional Council: Page Bloomer Associates Ltd., 28 February 2012. Print. Box, George E. P., and Norman R. Draper. “Empirical Model-Building and Response Surfaces.” New York: Wiley, 16 January 1987. Print. Brunoro, Silvia. “An Assessment of Energetic Efficiency Improvement of Existing Building Envelopes in Italy.” Management of Environmental Quality: An International Journal 19.6 (2008): 718-30. Print. Carthey, Jane, et al. “Flexibility: Beyond the Buzzword – Practical Findings from a Systematic Literature Review.” Health Environments Research and Design Journal 4.4 (Summer 2011): 89-108. Print. CMS. “What Is Future-Proof Building?” Construction Marketing Services Limited 2012. Web. 18 November 2013. Coley, David, Tristan Kershaw, and Matt Eames. “A Comparison of Structural and Behavioural Adaptations to Future Proofing Buildings against Higher Temperatures.” Building and Environment 55 (2012): 159-66. Print. Easton, Jennifer. “Existing Buildings = the 99%.” US Green Building Council. Web. 05 November 2013. Energy Information Administration, US. “Analysis & Projections. Assumptions to the Annual Energy Outlook 2013.” 14 May 2013. Web. 05 November 2013. Frey, Patrice, et al. The Greenest Building: Quantifying the Environmental Value of Building Reuse: The National Trust for Historic Preservation, 2011. Print. Georgiadou, M. C., T. Hacking, and P. Guthrie. “A Conceptual Framework for Future-Proofing the Energy Performance of Buildings.” Energy Policy 47 (2012): 145-55. Print. Godfrey, Patrick, Jitendra Agarwal, and Priyan Dias. “Systems 2030–Emergent Themes.” (2010). Print. Jentsch, M. F., A. S. Bahaj, and P. A. B. James. “Climate Change Future Proofing of Buildings-Generation and Assessment of Building Simulation Weather Files.” Energy and Buildings 40.12 (2008): 2148-68. Print. Katz, Ashley. 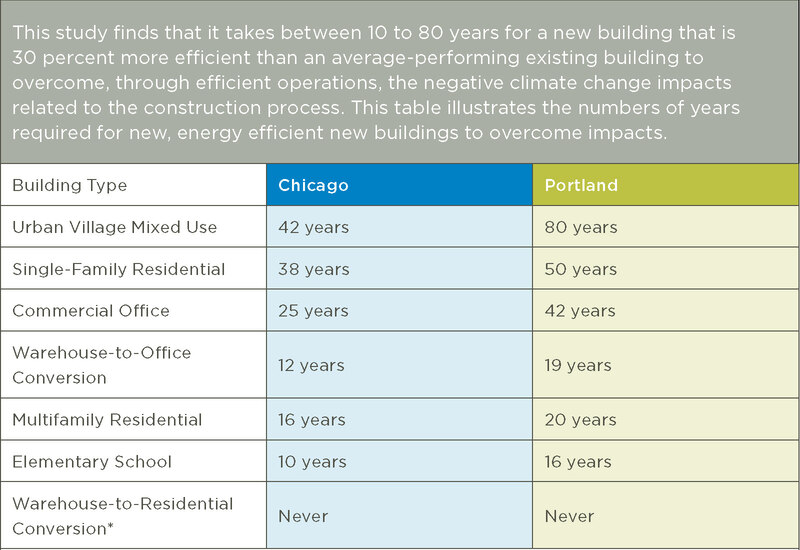 “Green Building Facts.” US Green Building Council 1 Jul 2012. Web. 18 November 2013. Kerr, Joseph Robert. “Future-Proof Design: Must All Good Things Come to an End?” M.E.Des. University of Calgary (Canada), 2011. Print. Lawson, Bryan. “Future Proof: The Maff Laboratories at York.” Architecture today.82 (1997): 26-26. Print. Meng, Lee Lik. “Megatrends Driving Planning Education: How Do We Future-Proof Planners?” Australian planner 46.1 (2009): 48-50. Print. Parker, Phillip, and Cara Lozinsky. “Thermal and Hygrothermal Analysis in Building Envelope Commissioning.” NIBS Building Enclosure Science & Technology Conference. National Institute of Building Sciences (NIBS), 12-14 April 2010. Print. Is Sustainability the 4th Form of Obsolescence? PRRES 2010: Proceedings of the Pacific Rim Real Estate Society 16th Annual Conference. 2012. Pacific Rim Real Estate Society (PPRES). Print. Roberson, G. H., and Y. Y. Shieh. “Radiology Information Systems, Picture Archiving and Communication Systems, Teleradiology – Overview and Design Criteria.” Journal of Digital Imaging 11.4 (1998): 2-7. Print. Shah, Sunil. Sustainable Refurbishment. Hoboken: Wiley-Blackwell, 2012. Print. Thomas, C, et al. “Integrated Circuits for Channel Coding in 3g Cellular Mobile Wireless System.” IEEE Communications Magazine 41.8 (August 2003): 150-59. Print. Thornbush, M., O. Golubchikov, and S. Bouzarovski. “Sustainable Cities Targeted by Combined Mitigation-Adaptation Efforts for Future-Proofing.” Sustainable Cities and Society 9 (2013): 1-9. Print. US.Department.of.Energy. “Buildings Energy Data Book. Buildings Share of Electricity Consumption/Sales.” US Department of Energy March 2012. Web2013. Weeks, Kay D. “The Secretary of the Interior’s Standards for the Treatment of Historic Properties : With Guidelines for Preserving, Rehabilitating, Restoring & Reconstructing Historic Buildings.” Washington, D.C.: U.S. Department of the Interior, National Park Service, Cultural Resource Stewardship and Parnterships, Heritage Preservation Services, 1995. Print.